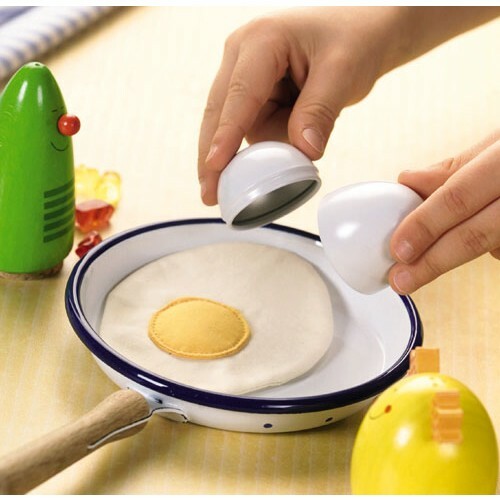 This brilliant fried egg toy is so much fun for little ones. A little metal egg that can be opened and has a fabric fried egg inside, so when you crack the egg open on the edge of your toy frying pan you can cook a pretend egg. Eggcellent!